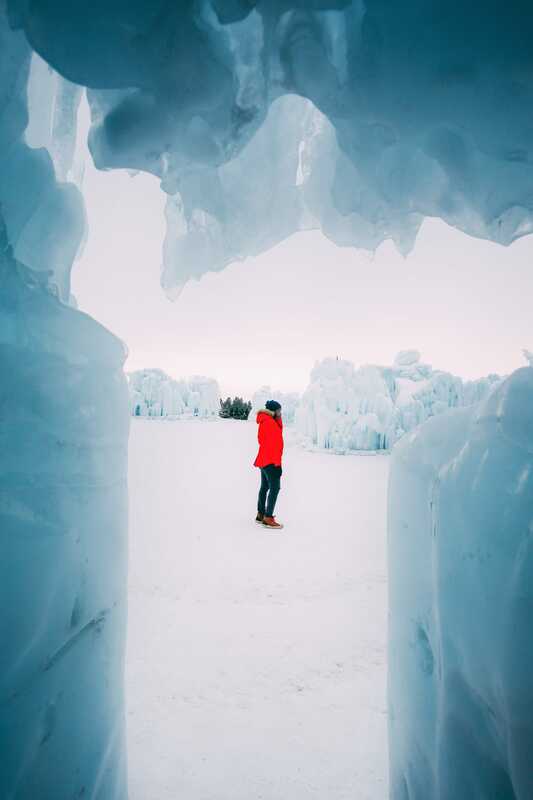 Embracing the snow, icicles and the chilly weather is something that’s amazing during a Canadian winter, especially within beautiful spots in Alberta. 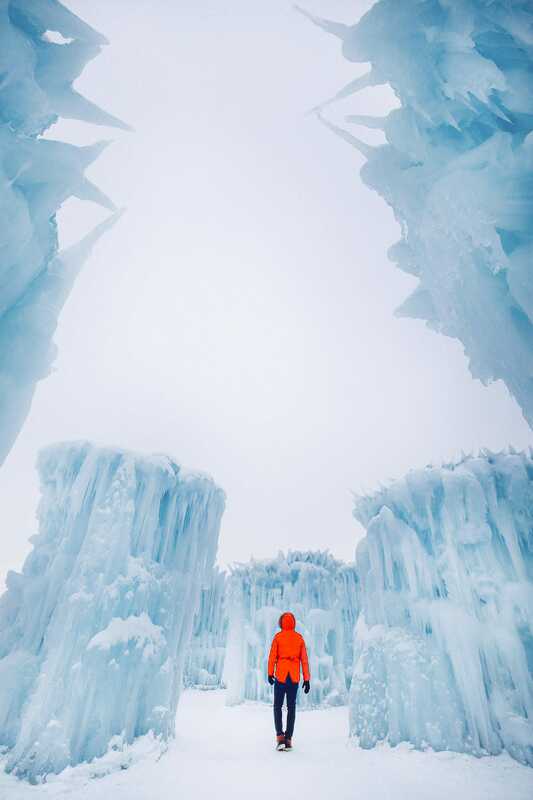 Now, if you’re anything like me you’ll be hankering to see some of this picturesque side of winter, with the Edmonton Ice Castle being one of the prettiest. Just make sure to wrap up and stay nice and toasty. 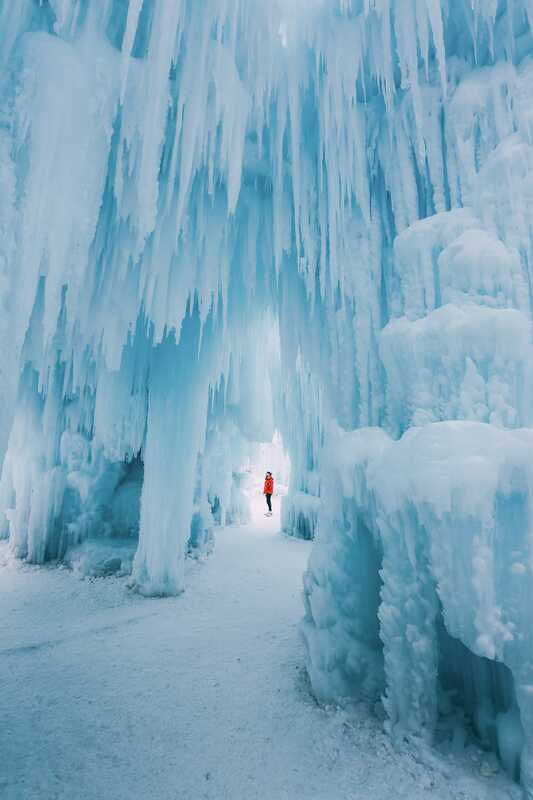 Why should you visit the Edmonton Ice Castle? Let’s be real, however much I try and describe how gorgeous the castles are, it will always be the photos that do the most justice to this stunning place. 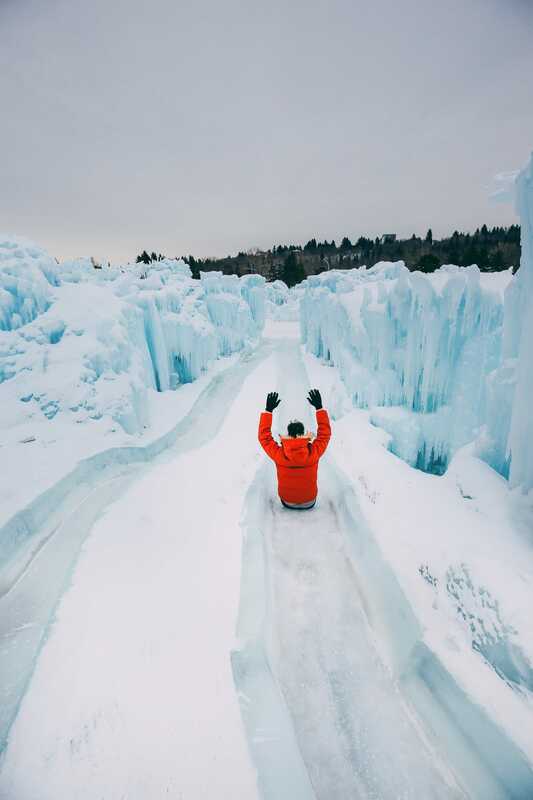 That being said, there are some easy-peasy reasons why you should be hopping right over to Edmonton to see this wintery wonderland. Firstly, it’s gorgeous – which I think you can agree. Secondly, it’s within easy reach with no need to drive for hours outside of the city. Thirdly, it’s not just for kids. Don’t get confused with thinking that this is just a stunning creation for kids to potter around. 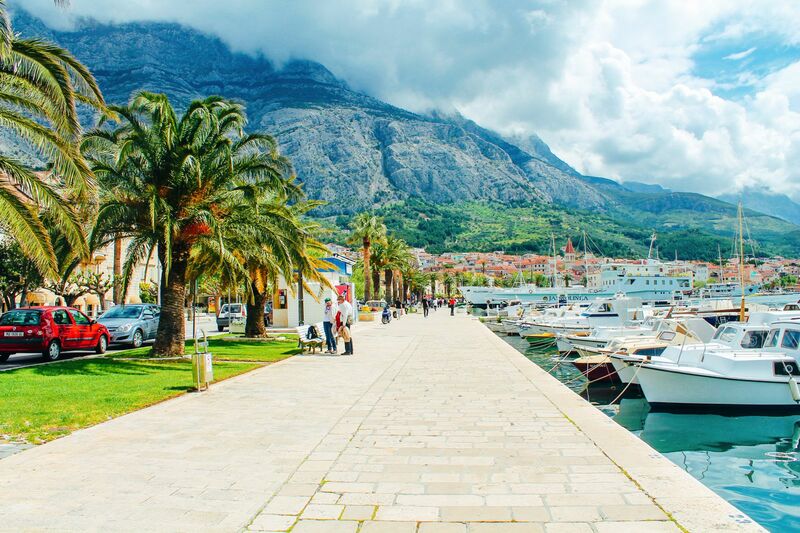 It’s one of those places that you’ll love just as much (or even more) than them. 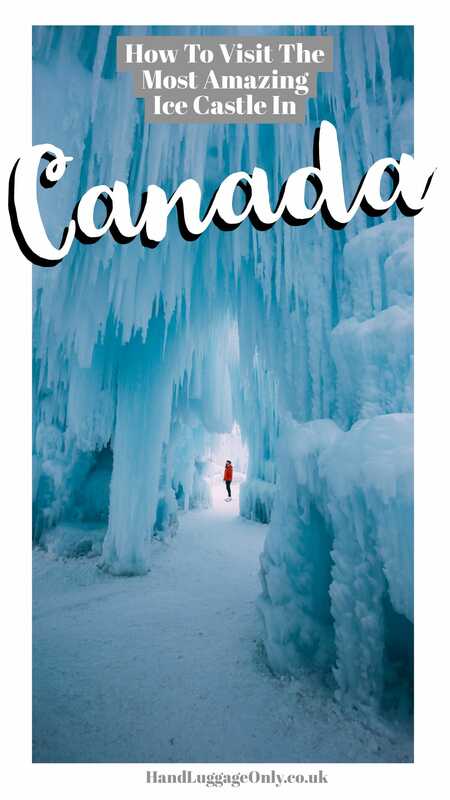 Fourthly, it’s in Edmonton with so many amazing things to do! 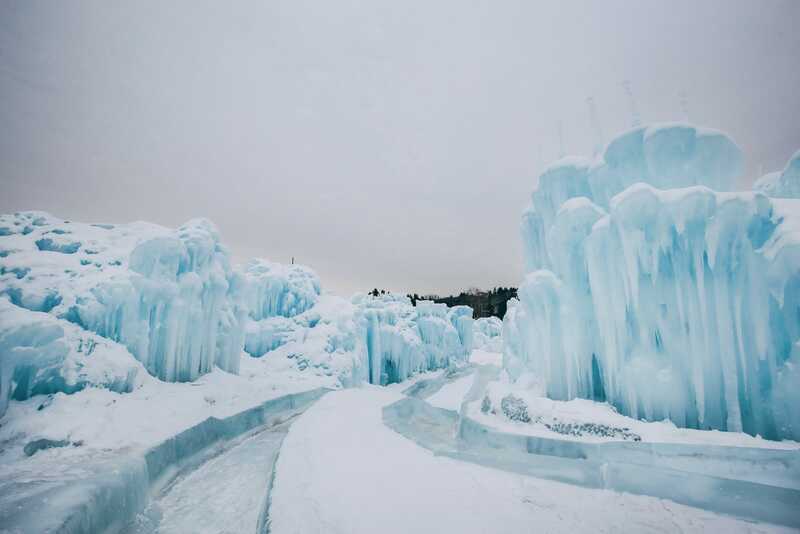 Where is the Edmonton Ice Castle? The city of Edmonton in Alberta. 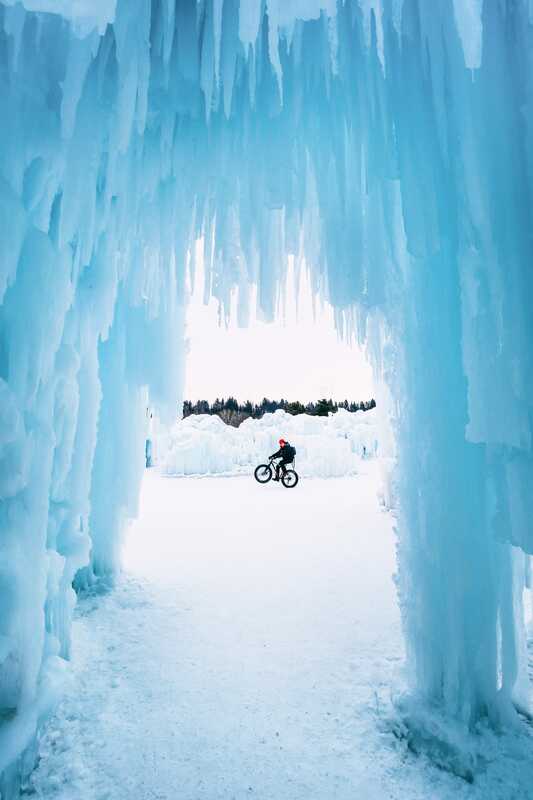 Perched in Hawrelak Park in Edmonton you can walk (or cycle, like we did) the city centre to the Ice Castles in a really short time. 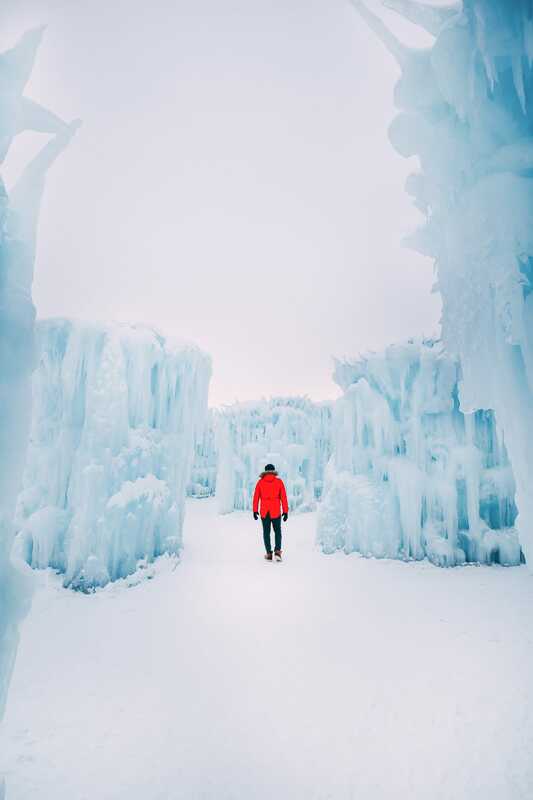 Edmonton is about a 4-hour drive from the stunning sites of Jasper National Park and also about 40 Minutes from Elk Island (which is amazing in the winter). You can even snowshoe across the frozen lake. Everyone. Look, there’s no age limit, there’s no need to think it’s just suitable for kids. It really is a stunning creation that’s there for everyone to enjoy. One thing to bear in mind is that you are walking on snow. This might make a little harder if you have a pram or buggy. If you’d prefer, you can actually bring a sledge to get around the castle itself. It’s actually cheaper to buy your tickets online before you go. With 2018 prices being between $12-20 depending on the day and ticket method you choose. The cheapest tickets are grabbed by buying online and visiting on a Monday-Thursday. 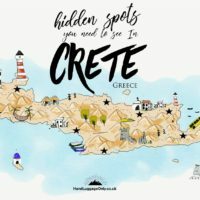 Do I need to book online? You don’t have to but I’d definitely recommend doing this. 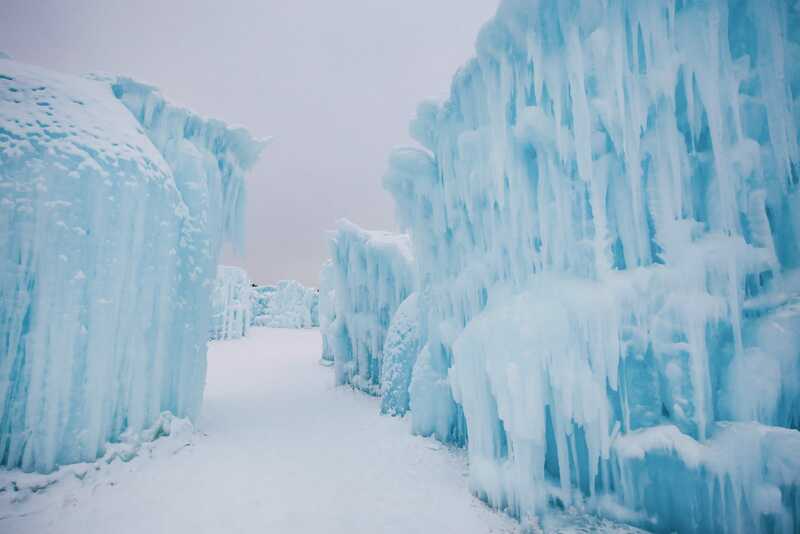 The Ice Castles are quite popular and if you just rock up, you’ll likely have to queue and wait on standby for a space to enter. You can book online, here. Lots of layers and a big coat. When we visited Edmonton, it was a chilly -34 degree Celcius (-29.2 Fahrenheit). Make sure to wear your thickest gloves, snood or scarf and even some thermal pads to pop in your shoes or mittens. Oh, yeah, make sure to wear some waterproof boots too. No one likes chilly toes. 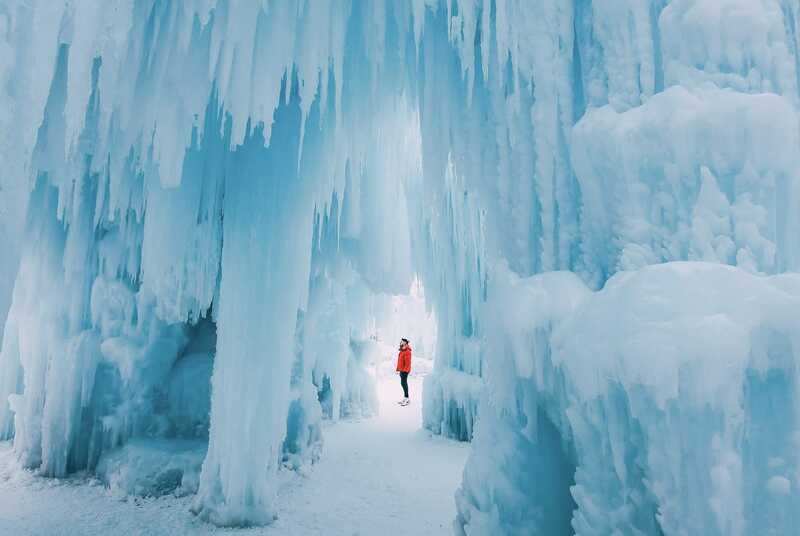 The Ice Castles opens for a limited time during winter in Edmonton from January 5th. The castles are closed on Tuesdays so make sure to plan a visit on another day. The days and times it operates are; Monday to Thursday (4 pm until 9 pm), Friday (4 pm until 10 pm), Saturday (11 am until 10 pm) and Sunday 12 pm until 8 pm).